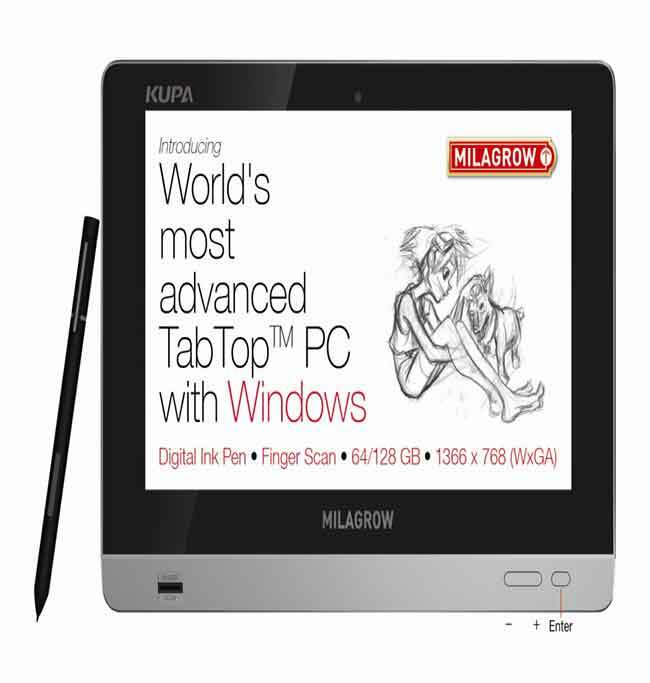 Ironically, with less than two months to go before the first Windows 8 tablets start flooding shelves, Milagrow has launched a Windows 7-based tablet in India, called the Milagrow Kupa X11. 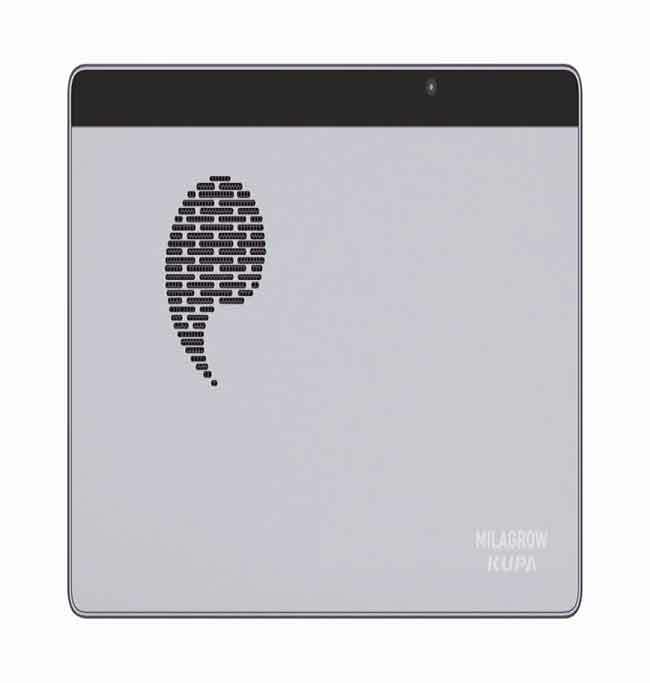 Developed by Kupa, a German Windows tablet maker, the Milagrow Kupa X11 is a high-end device, considering its price, and specifications. It is available in two storage variants, one with a 64GB SSD for Rs. 54,990, and the other with a 128GB SSD for Rs. 66,990. 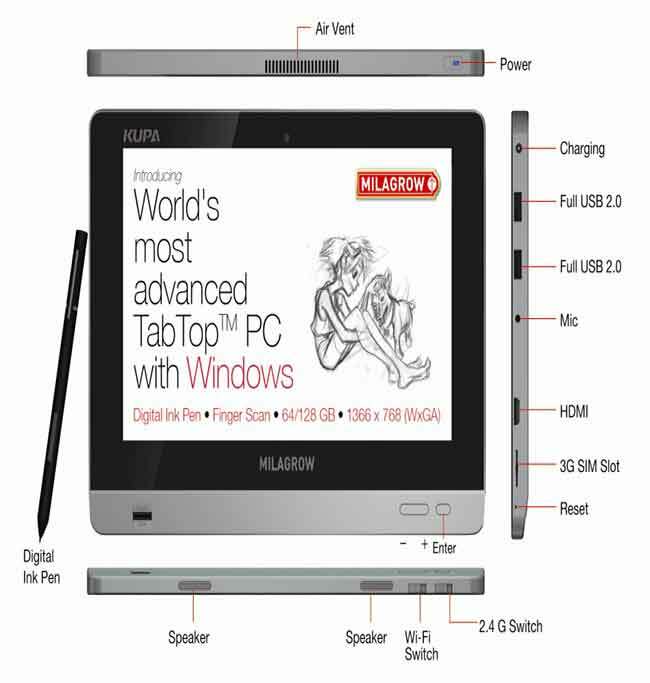 Other specifications of the Milagrow Kupa X11 include a 10-inch capacitive multi-touch display with a 1,366x768 pixel resolution, a dual-core Intel Atom N2600 1.6GHz ‘Cedar Trail’ SoC processor, 2GB of RAM, built-in SIM card slot for 3G connectivity (with voice calling), Wi-Fi, Bluetooth, USB, miniHDMI, rear 1.3MP camera, front 1.3MP camera, and a 10 hour battery life, with a 30 day standby time. 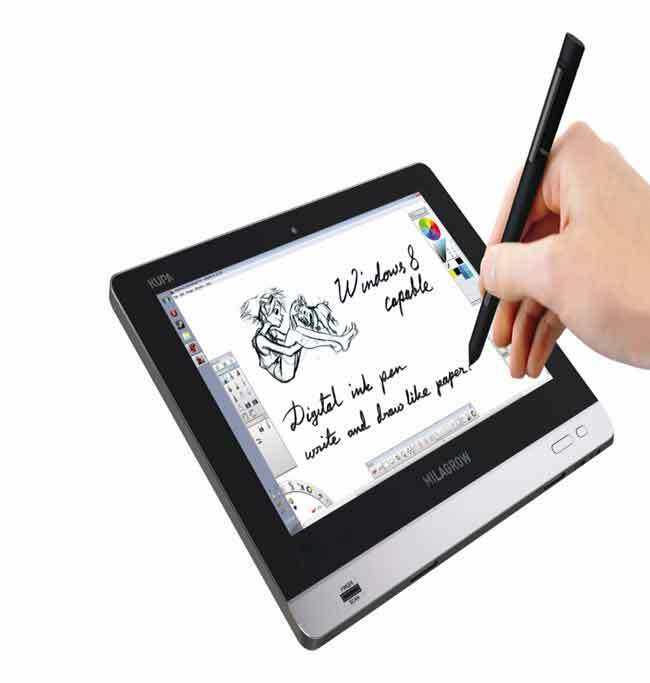 Strangely enough, the Kupa X11 will ship with a trial-version of Windows 7 Professional – forcing customers to buy a licence for themselves. 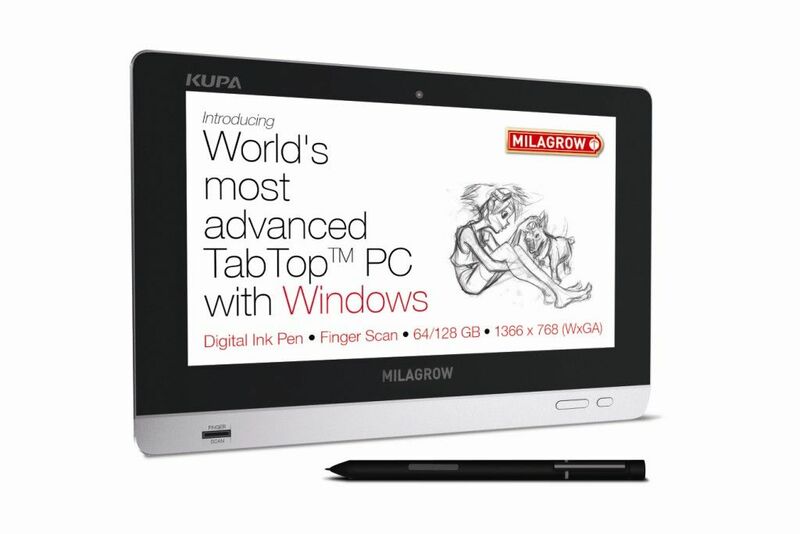 According to Milagrow, the Kupa X11 has been optimized for pen stylus (digital ink pen bundled) as well as touch input, as it features an electromagnetic digitizer. Speaking at the launch of the TabTop X11, Mr. Rajeev Karwal, Founder Director, Milagrow said: "Over the past few years, Kupa has been steadily building up its reputation of dedicated client support and technical knowhow by launching several successful Microsoft Windows based tablet computers. 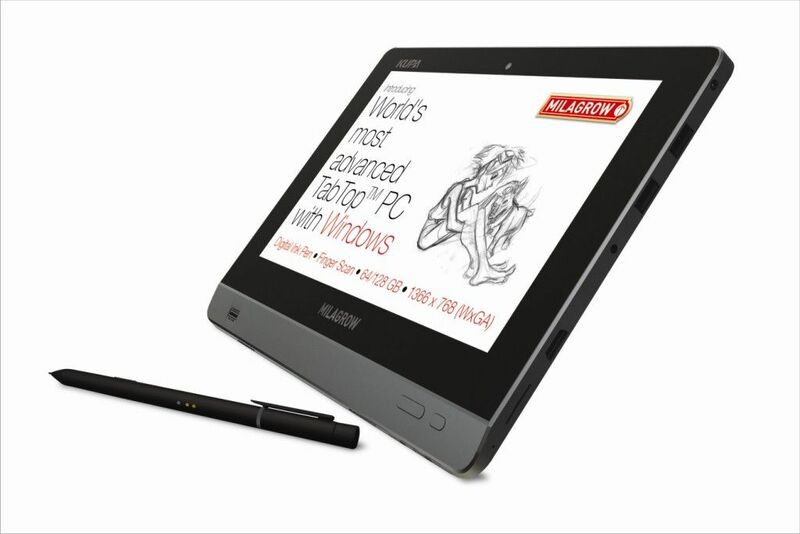 When we decided to enter into the Windows Tablet segment they were ideal partners." X11 is available for order now with Milagrow. 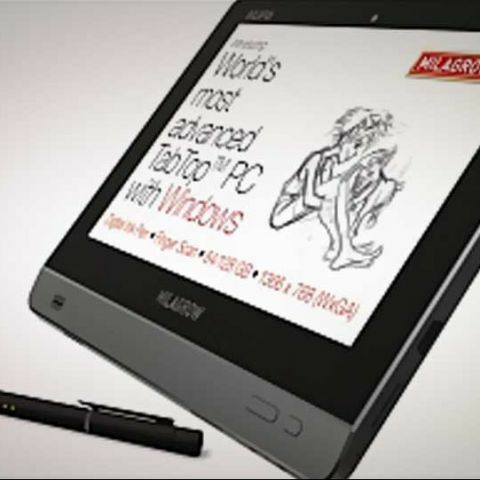 You can get more information at www.milagrowhumantech.com.